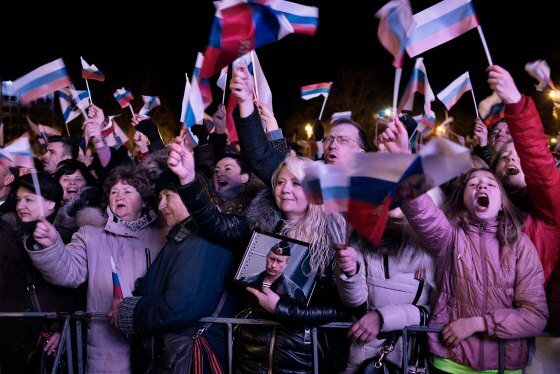 The EU and the US have imposed travel bans and asset freezes against a number of Russian and Ukrainian officials following the controversial referendum in Crimea. Moscow says the troops are pro-Russian self-defense forces and not under its direct control. If Moscow continued to intervene in Ukraine, Barack Obama warned, it would “achieve nothing except to further isolate Russia and diminish its place in the world”.